Finger crochet is just plain fun! Who needs a hook? We don’t! Not doing this technique, anyway, and that’s what makes this so great. Crocheting with your fingers! This technique is worked the same as regular crochet except there is no hook used. It’s all worked on your fingers. It’s becoming more and more popular with the old and young alike. Heavier, bulky yarn is usually used for this crochet technique, because it’s easier to hold and work with. Any kind of yarn can be used, though. Do you need some reasons to give finger crochet a try? This is a great technique to get younger children started on crochet. It can be difficult for them to manipulate a crochet hook. 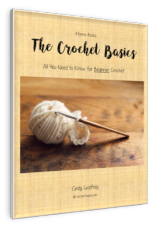 This method teaches them about crochet without the frustration. It can also help build and strengthen their fine motor skills. Speaking of fine motor skills, adults sometimes need that help, too. For some, working a crochet hook can be difficult. This could be due to an accident or illness. Whatever the reason, this type of crochet can help. Heavy, chunky yarn can be hard to work with on your hook. So can some of the new textured yarns. This technique can make it much easier to use those amazing yarns. If you like the look of looser, bigger stitches, this is perfect for you. It’s a great look and also very fashionable. 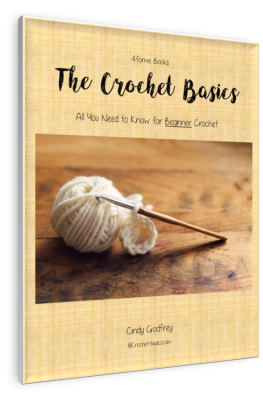 You want to learn a new method of crochet without having to learn new stitches. Every crocheter loves to try new and different techniques. 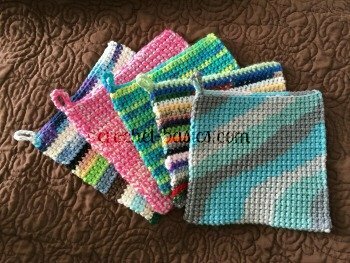 This is a great new way to work the same crochet stitches you love. My last reason, it’s fun! It really is. It’s also addictive, just like every other type of crochet you’ve tired. I think you are going to love it. Give it a try! There’s a great walk-through here at Red Heart. A variation of this technique that is becoming increasingly popular is arm crochet. You guessed it, you use your hands and arms to work the stitches instead of using a hook. This technique is easy and quick for finishing a project. It’s usually worked with several strands of yarn at once, giving your piece an awesome chunky look with loose stitches. It’s perfect for great scarves or cowls. Yarnspirations has an easy tutorial to get you started with arm crochet.